31 & 29 Surrey Street; number 29 is to the right. My father bought this substantial Georgian property at 29 Surrey Street in 1959. This building has an impressive history, as it was the home of botanist Sir James Edward Smith (1759-1828), the first President of the Linnaean Society of London, the world’s premier society for the study of natural history. James Smith had purchased the collection of specimens that had belonged to the Swedish scholar Carl Linnaeus. Smith was knighted in 1814. It was his wife Pleasance (nee Reeve, 1774-1877, whom he married in 1796) who was keen to move from London back to Norfolk; they were both native East Anglians and had been drawn to the capital as the centre of intellectual life. It was Pleasance Smith’s father (Robert Reeve of Lowestoft) who acquired the leasehold of the property in Surrey Street in 1809. The lease on the property had previously been held by the Norwich brewer John Morse. Morse did not live at 29, his dwelling was just round the corner in the spacious an elegant mansion called St Catherines Close in All Saints Green (then called Upper Surrey Street). Many people will know this house as the former home of the BBC in Norwich. John Morse had been mayor in 1781 and 1803, and was a prominent brewer specialising in porter (we know it better as stout or Guinness). 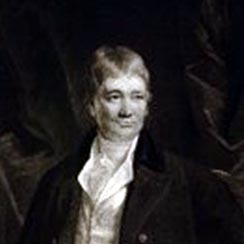 Morse and others had acquired all the “freehold Manors, Advowsons, Messuages, Lands, tenements and hereditaments” of Thomas Kerrison the banker, on his becoming bankrupt in 1808, and 29 Surrey Street had been one of these leaseholds. Morse was anxious to find a tenant, which he did in Robert Reeve, who acquired the property on behalf of his son-in-law, James Edward Smith. Robert Reeve also acquired a piece of land to use as a garden at the back of the property, and a small piece of the common yard to give him access to it. A garden was a major requirement of his son-in-law, and in it he grew all kinds of exotic plants. Most of this garden was sold in 1939 to the Eastern Counties Bus Company, for the bicycle park used by its employees at the bus station. After Robert Reeve’s death in 1815 the house was leased jointly by Smith and his wife. There are two sketches of the block of buildings 29-35 Surrey Street, done by John Sell Cotman, drawn at the time when Sir James Edward Smith lived there. One is a drawing which is an accurate portrayal of the building, and the other is a more finished painting in which he has taken some liberties with the architectural details. The pictures were on display in Norwich Castle Museum when I was there a few year ago, although they have now been returned to storage. Let me delve a little deeper into the past; Surrey Street was called Thedwards Croft in the middle ages, and later Newgate. It had various other names too such as New Street and Jack’s Pit. Its name of Surrey Street comes from the Earl of Surrey, Henry Howard, son of the Duke of Norfolk, who was executed by Henry VIII. He had his Norfolk town house on the north side of Surrey Street, on the site where Aviva’s headquarters, Marble Hall, now stands. Aviva was formerly known as Norwich Union. Lady Pleasance Smith as a Gypsy. 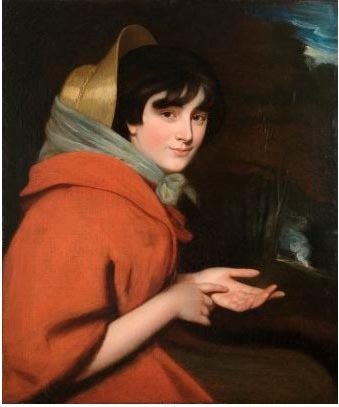 Opie, c1796. The local architect Thomas Ivory acquired the leasehold of the land between Brazen Gates and Surrey Street and used this to build these substantial houses. He also built Ivory House on the same block of land. He acquired the lease on the property on which he was to build numbers 29-35 in December 1760 from a Dr Peck. It cost him £262.10 shillings, and disposed of the 99 year leasehold in 1761 to the first resident of the new house. The freehold remained in the hands to the City Corporation. Lady Pleasance and Sir James Edward Smith were granted a 1000 year lease at a peppercorn rent in 1820. They took out a mortgage for £400 to pay for this extended leasehold. The mortgage was all paid off by the time of Sir J. E. Smith’s death in 1828. This long lease was later converted into a freehold. To compare relative values, the £400 the house cost Sir J.E. Smith had risen £5,000 in 1959. It was valued at £70,000 in 1977 and today the value of the flats the building has been converted into must be over one million pounds. Lady Pleasance Smith stayed at 29 Surrey Street after her husband’s death, finally letting it to John Middleton in 1852 after she had returned to her native town of Lowestoft. His name appears at that address in White’s Directory of 1854. Lady Pleasance Smith died aged 103 in 1877. A stained glass window to her memory was erected in St Margaret’s church, Lowestoft. She was buried in the Reeve family vault in the churchyard. Her husband had been a staunch nonconformist, a Unitarian, but she returned to the Established Church after his death. She was 14 years younger than her husband, and lived for 50 years after his death. She wrote a book of memoirs of her husband. By 1883 the house was the home of Elizabeth Fellowes, widow of the Rev Thomas Lyon Fellowes of the family that lived in Shotesham Park. Her maiden name had been Elizabeth Pleasance Reeve, and she was born in Lowestoft; she was Lady Pleasance Smith’s niece. The property was left to her by Lady Pleasance Smith on her death in 1877. Lady Pleasance Smith was childless but was very involved with her nephews ad nieces. Elizabeth Fellows was widowed in 1881 and it was then that she moved into the property in Surret Street with her unmarried daughter. Elizabeth Pleasance Fellowes died in 1898. No 29 then became the home of Mr Geldart. 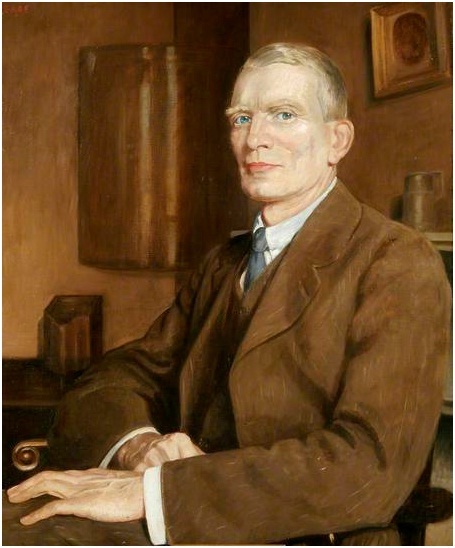 His granddaughter wrote her memories in the Proceedings of the Norfolk Naturalists’ Society in 1914. In 1911 a young surgeon called David Kirkpatrick Coutts was appointed to the Norfolk and Norwich Hospital and moved into No. 29 with his wife. Soon after moving in, on the 21st of August, he was taken suddenly ill with a stroke while at home in Surrey Street. He died within minutes. He was succeeded by another surgeon. The following announcement appears in the Supplement to the British Medical Journal on Saturday September 20th 1913. Births; On September 10th at 29 Surrey Street, Norwich, to the wife of A.J. Blaxland, M.S. Lond., F.R.C.S., a son. Athelstan Jasper Blaxland was a surgeon at the Norfolk and Norwich Hospital who combined his hospital appointment with a GP’s practice, run from the house in Surrey Street. These duties he continued until the outbreak of the First World War, when he joined the Royal Army Medical Corps. After the war he left Surrey Street and moved round the corner to St Catherines Close in All Saints Green, a house which we have already noted as the home of John Morse the brewer, a hundred years earlier. Before Dr Blaxland moved into St Catherine’s House had been the home of the Barwell family. The Barwells had been local wine merchants in Norwich since the eighteenth century, and I can remember Barwells wine merchants in Norwich. The Barwells were related to several prominent local families. In 1919 29 Surrey Street was sold by A. R. G. Fleming to Dr Mills. We are now getting almost within living memory, for I remember Dr Mills’s widow Mrs Mills very well. Dr Robert James Mills was already living at 35 Surrey Street in 1901 and although he owned No.29. he did not live there. Mrs Mills must have been considerably younger than her husband. When I remember her she lived on the upper floors of No. 35 Surrey Street, and she let the ground floor to Mr Waugh a chiropodist, and later to a lady who provided typing services to business clients. The Mills couple had one child, a daughter who never married. She would drive up to the yard behind the terrace in Surrey Street in her white Mini van to visit her mother. This continued well into the 1970s. In 1927 Dr Mills sold 29 to C. H. Bradley-Watson, a dentist. I suppose he used thepropery as his dental surgery. 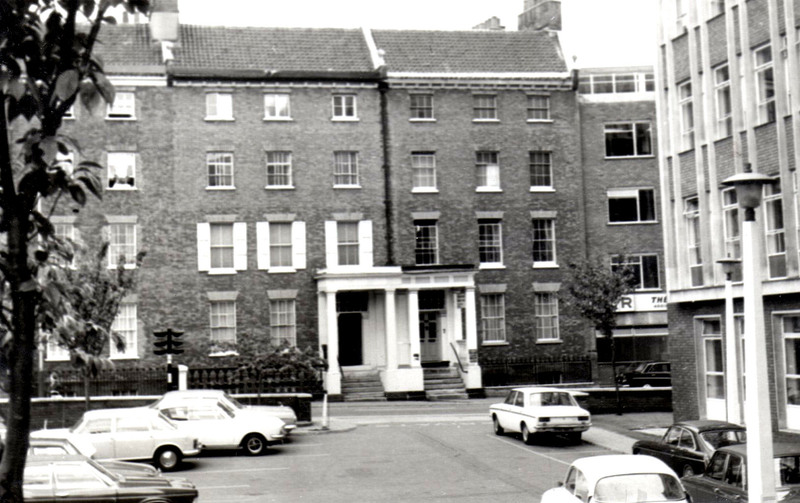 There was still a dentist by the name of H. Bradley-Watson operating out of a surgery at 5 Surrey Street in 1969; I even went to have a filling there. He was the son of the one time owner of 29 Surrey Street. In 1948 the property at 29 was acquired by Norfolk Dwellings Ltd under whose ownership it was operated as The Angel Temperance Hotel. The hotel sign was still swinging in the portico when my father bought the house eleven years later. Much of this information has come from the deeds of the house, but also from researches done on the internet. There is much more to say about 29 Surrey Street; I have hardly touched on the career of Sir J. E. Smith, so there is plenty more to say. Finally there are my own memories of the place during the forty years I was involved with it from the age of ten. Good to see a picture of your Dad at last. I do remember him.